JR, The Black Entertainment Guide: Nicki Minaj not doing "The X Factor"
Nicki Minaj not doing "The X Factor"
For most of this past week, there has been discussion of Nicki Minaj joining "The X Factor." It was just yesterday when JR reported of how the show may be using Nicki Minaj's name for extra promotion. Simon Cowell, the executive producer of the series, landed a major coup when L.A. Reid joined the show. With Nicki Minaj already tied to an upcoming film, named Charge It to the Game, it seemed as if she would also join "X Factor." But, when she was asked about joining the series, Nicki Minaj never gave a direct answer. Yesterday, several sites reported that she was close to agreeing to a lucrative deal. Apparently, these stories have proven to be false. The latest report says Nicki Minaj will not be a part of the upcoming series, "The X Factor." 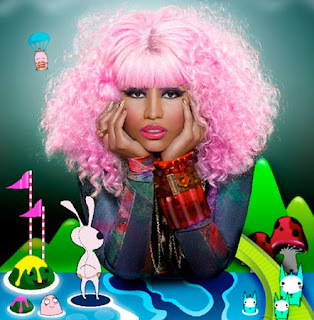 Because of her hectic music career, the show would have to work around the schedule of Nicki Minaj. Even with her popularity, work has to be done on the set. While the stories do not tell why Nicki Minaj will not be a part of the show, this is most likely the reason. Simon Cowell confirmed there was no meeting between himself and Nicki Minaj. Now, a member of Nicki's team has said she will not be a part of the series.